Teachers make our lessons fun! Emmanuele Mukia (Program Assistent KforC Cameroon) interviewed pupils in the 4th, 5th and 6th class to find out what the impact of Knowledge for Children is in their schools. Blessing, an 11 year old girl expresses her satisfaction. “Knowledge for Children has done a great job to our school. Our parents now understand the importance of education for children. When Knowledge for Children visits our school they talk to our parents about this. Our parents did not pay attention to education before like they do now”. 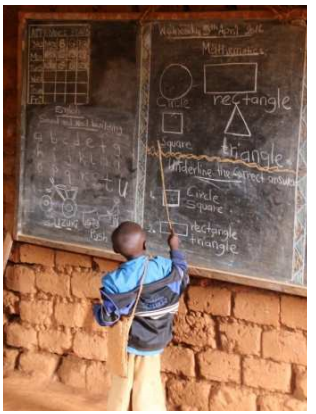 The children are also very grateful for the training KforC gives to their teachers: “Our teacher makes his lessons fun and also makes the classroom friendly so everyone in class is free to ask questions whenever we have doubts. He assigns us to do group work and we are happy with that, because we learn more when we share ideas with our friends and do activities together. The teacher asks questions that make us think for ourselves without him telling us everything”, explains Godswill (12 years old). 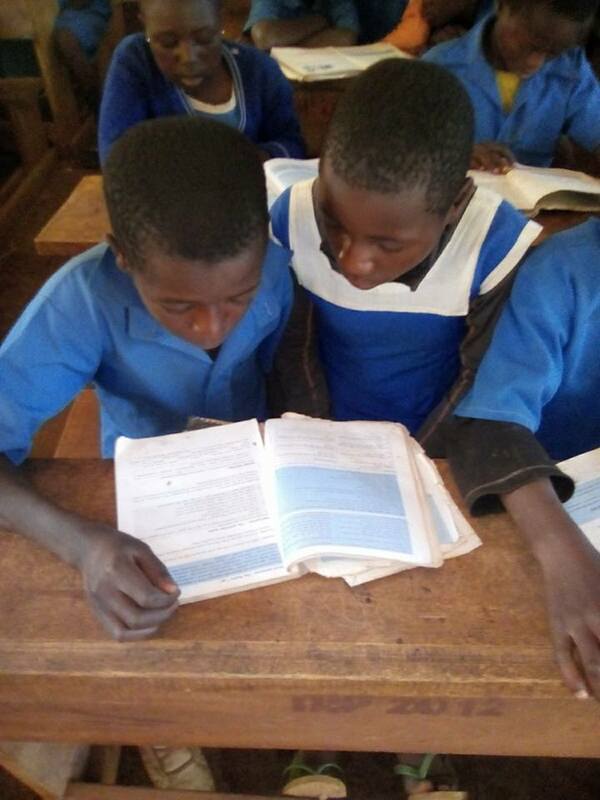 Margaret (11 years old) and Rachida (12 years old) say: “We are also happy about the reading test and Reading Competition Knowledge for Children organizes to test our knowledge. It was exciting and the competition has also made us to realize that we still have to study hard when we compare our results with the results of children from other schools”. “I am happy with the books Knowledge for Children give us. I want to be an administrator when I grow up, but without knowledge I cannot be the person I want to be”, Lemuel (10 years old) tells us. Ali (11 years old) adds: “We will always be grateful and remember Knowledge for Children wherever we find ourselves in the future. Even if our parents cannot afford all our books, we can still succeed in our studies”. In another school children reveal their gratitude by stating: “We are more than just being grateful. 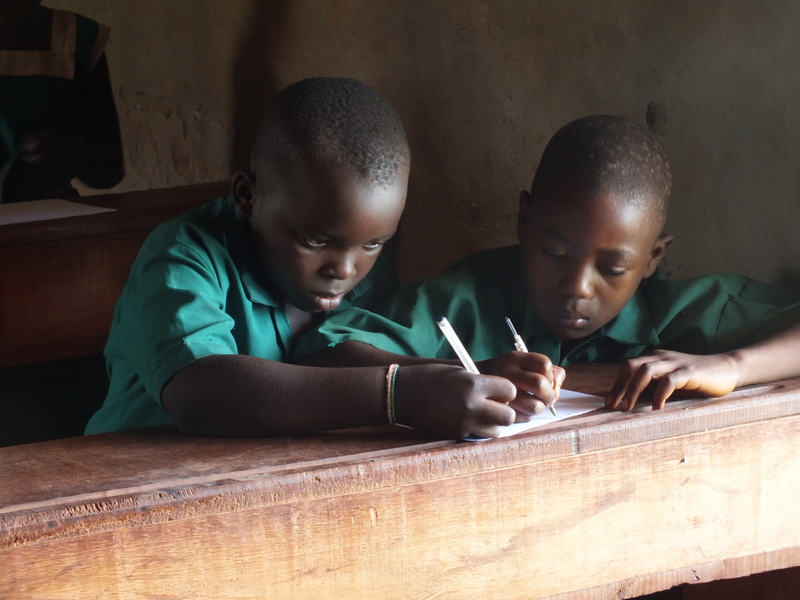 Words cannot express how happy were are for what Knowledge for Children is doing. Because of the books we are receiving, we are able to express ourselves in public, using correct English. We are also happy about the Reading Club set up in our school. It gives us time to sit together, formulate stories and write. During the hours of the Reading Club we are also able to read together with our friends and learn from each other”.